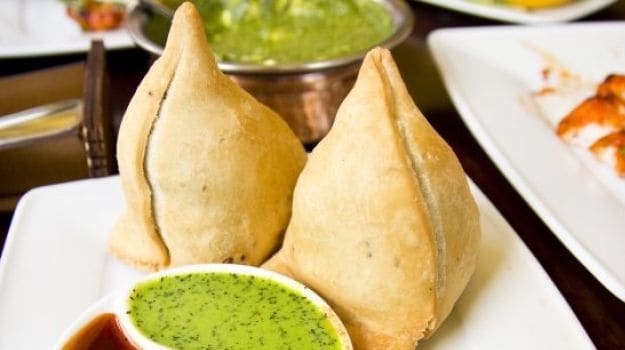 About Punjabi Samosa Recipe: The most favourite tea time snack across the country, Samosas are Indian snacks with delicious pockets of dough stuffed with a potato mixture and spices, deep fried. You cannot have a better snack option at home when unexpected guests arrive! This is easy and fuss-free, you can simply dish up some hot and piping samosas along with a cup of hot tea. 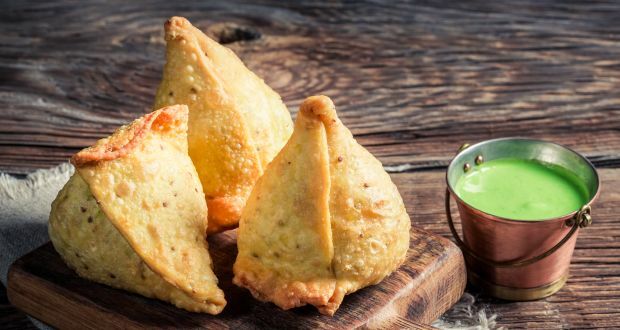 An all time favorite tea time snack, samosa can also be prepared for a snack party with friends and family during special occasions or festival season. 1.Chop the green chillies, ginger and the coriander leaves. 2.Mix all the ingredients for the dough except water and rub thoroughly. 3.Sprinkle water and make a hard dough. Set aside for about 10 minutes. 4.Divide the dough into round portions as per the size of the samosas required. 5.Heat the ghee and add cumin, when crackling add ginger and saute. 6.Add the rest of the ingredients excluding the final four and sauté for five minutes. 7.Mix in the rest of the ingredients, including the potatoes and mix well. 8.Roll each portion of dough into a thin oval shape cut into 2 semi-circles. 9.Take a semi-circle. Apply water on the straight edge of the semi-circle. Hold the semi-circle in your hand, fold the straight edge, bringing together the watered edges, seal the watered edges into a triangular pocket. 10.Stuff the potato mixture and then seal the upper edges. 12.Deep fry in oil till golden brown and serve. You'll be surprised to know how innovative you can be with Samosa! 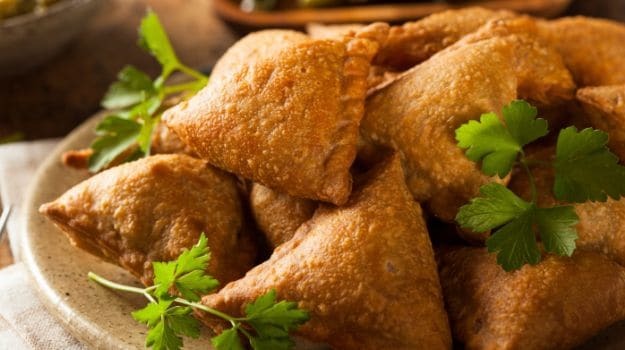 Here we have different and unique 10 best samosa recipes that you can try at home. Also read about more Indian snack recipes that you can prepare at home. it was so yum nd delicious.....!!!!! So quick and such an amazing recipe. Perfect snack for a rainy day.